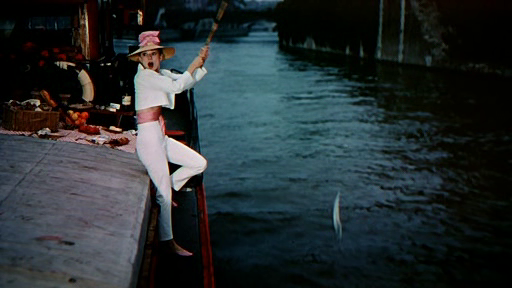 When the editor (Kay Thompson) of a women’s fashion magazine declares that she wants a fresh face for the new edition, a photographer (Fred Astaire) points her towards a waifish, philosophy-loving bookstore employee (Audrey Hepburn) who agrees to become a model in exchange for a trip to Paris. 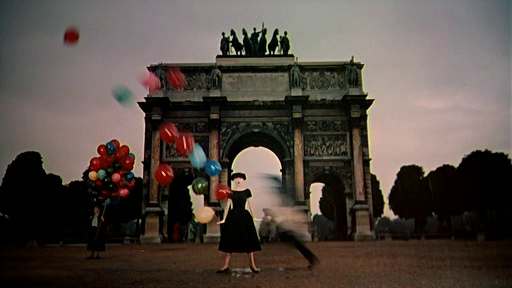 Yet the entire affair — like most musicals at the time — is best viewed simply as a fairy tale, one that shouldn’t be analyzed too closely; as DVD Savant puts it, “Funny Face is meant to be a carefree bubble of jokes and music, and on those terms there’s little to complain about.” While the age difference between Hepburn and Astaire really is too much to swallow (after all, Astaire is no debonairly graying Cary Grant), it’s nonetheless a delight to watch these two dancing on-screen together — or apart, for that matter. 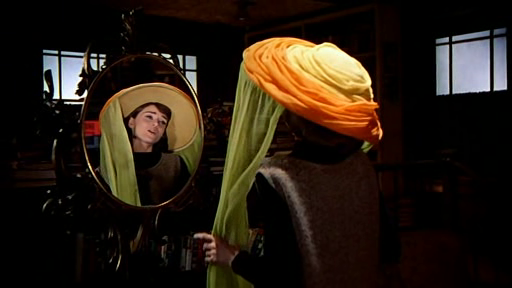 Indeed, Hepburn’s best dance is her stunning solo outing in the Beatnik cafe, which is out of sight, man! 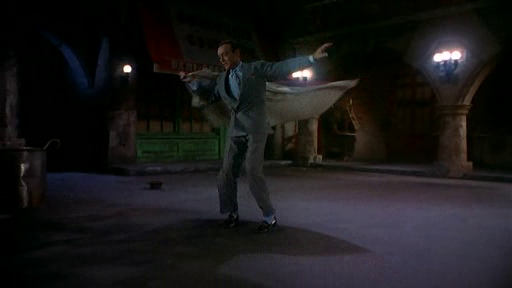 Meanwhile, Astaire does a fine ditty with a “red cape” outside Hepburn’s apartment window, and there are numerous other fun songs (courtesy of a fine Gershwin score) and dances sprinkled throughout. Film fanatics will also surely be interested to see polymath Kay Thompson — known, among other things, for being one of Judy Garland’s closest confidantes, as well as the creator of the children’s book character Eloise — in one of her precious few screen appearances, here playing the delightfully acerbic, Diana Vreeland-esque fashion magazine editor who drives the entire narrative. Note: Even non-fashion-lovers will be tempted to rewind the lovely Parisian fashion shoot montage several times — quelle magnifique! Yes, as a classic and stylish ’50s musical. 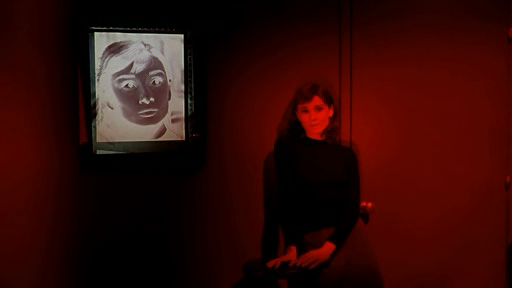 A once-must as – agreed – “a stylishly retro visual treat”, and for Kay Thompson’s performance. 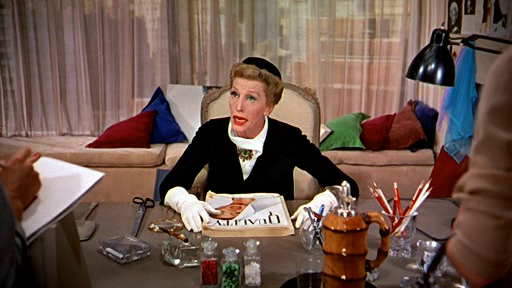 Hepburn: Are you suggesting that Flostre’s interest in me is anything but intellectual? Astaire: He’s about as interested in your intellect as I am! Ouch! Sexist, anyone? Granted, in the heat of anger, people say things they should not say. 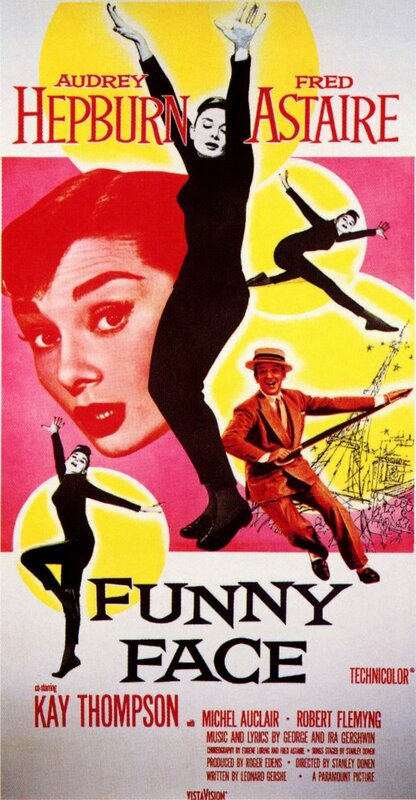 But Astaire makes no later reference to this remark, nor does he apologize. 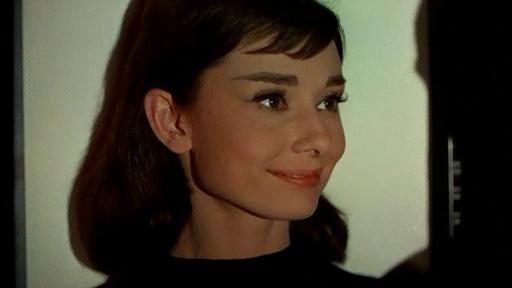 Personally, I find myself starting to think Hepburn’s Jo is a bit of a dope. ~which is why I recommend ‘FF’ for what does work in it. 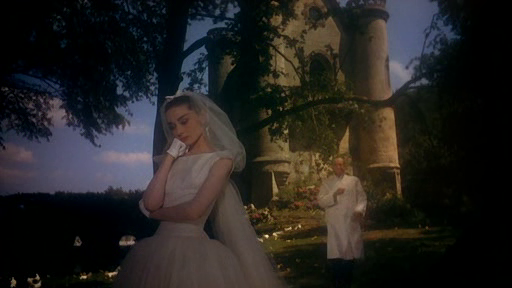 (Since I don’t really buy the ‘love story’, I have problems in general with Hepburn and Astaire throughout.) Much of what makes a viewing worthwhile once is noted in the review and the redeeming qualities. Admittedly, I have little interest in the world of fashion, but at least that aspect of the film is served up with authentic flair in an appropriately splashy manner. The fashion shoot sequence is a highlight. 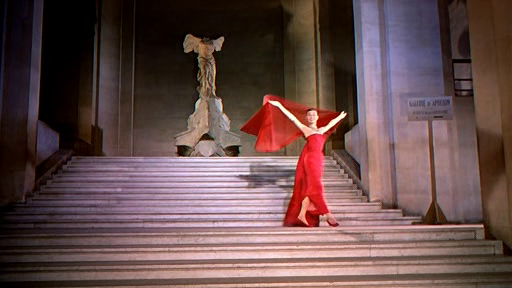 Even Hepburn’s fun dance solo comes off as a bit of a fashion statement. 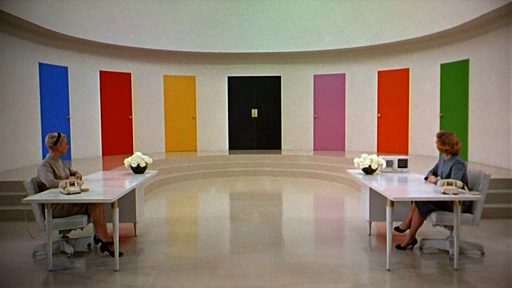 For me, though, the film’s best sequence is the ‘Think Pink’ number. (Once it’s over, I can’t help but feel the film slipping from its satisfying tone.) The song itself is a grabber; as an opener, there’s real punch there; and, best of all, there’s Kay Thompson in delightful full-swing. As a viewer, I’d be much happier to see the whole film from Thompson’s POV – what with her Auntie Mame-esque take on an artistic woman in charge of trend-setting. (As presented here, in a madcap way, Thompson’s Maggie is the kind of editor/designer you want to spend time with – as opposed to someone like Streep in ‘The Devil Wears Prada’. Sure, Thompson refers to those in the fashion world as “…a cold lot, artificial and totally lacking in sentiment.” I suppose she still comes off as charming to me, even if in a small dose.) It’s no accident that the film overall gets a well-needed jolt of recovery in its latter half, when Thompson and Astaire memorably perform ‘Clap Yo’ Hands’ (one of the better Gershwin songs in the so-so score). It’s kind of silly that the magazine everyone works for in the film is named ‘Quality’, and that its main ‘concern’ is finding women who can live up to that name. What we come away from the film with is that the ‘quality’ sought is superficial in nature, and has little to do with what is actually inside a woman. Kind of like the film itself. 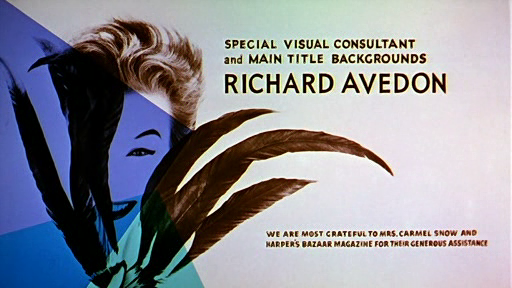 Note: Speaking of Vreeland…check Wikipedia to see the extent of how she has been referenced in film over the years.